The application for PFN Summer Internship 2019 was closed. 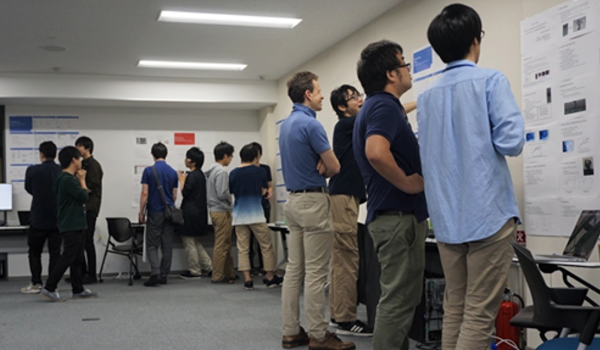 Preferred Networks (PFN) is looking for enthusiastic interns who can work with us in our Tokyo office this summer. Students who applied for previous internships are also eligible to re-apply (except those who previously interned with PFN). We welcome students who want to develop new technologies, software, and services across a wide range of computer science areas including machine learning with us. Note: This program is only for students who already have visa eligibility to work in Japan as an intern this summer. We are not accepting applications from students who need support for obtaining the designated activity visa to work as an intern because the due date for processing such applications has already passed. Over the two-month period, PFN researchers and engineers will be assigned to work with you as a mentor. You will have opportunities to discuss, study, and develop in your theme with specialists in various fields including deep learning, computer vision, natural language processing, robotics, bio-healthcare, reinforcement learning, and distributed processing. After the internship, you can make your research result public by writing a paper or making it OSS, to the extent to which is possible. You can choose to continue to work in the week of Sept. 24-27 under the same terms and conditions. This year’s internship will end on Sept. 20 in principle in consideration of the fact that many schools start their fall semester in late September. If your school is not the case stated above and you need more time to finalize your research or want to spend more time with our staff, you can extend your internship until Sept. 27 under the same terms and conditions. We understand you may have to be absent for e.g. lab activities, attending academic conferences, returning home for family commitments. We are flexible about your need to take day-off due to these reasons. For 2019 Domestic Internship at PFN, we prepared the themes listed further below. During the selection process or after completion, you will discuss with our members to finalize your theme. You must at least choose your 1st and 2nd preferences in the application form. If you have more than two areas of interest, select a 3rd preference, which is optional. Research and development on performance optimization of machine learning, etc. Free topic. We also welcome self motivated applicants who can take the lead of their own research project. PFN is seeking highly motivated and skillful individuals who can develop applications, tools, etc. independently. Do not hesitate to apply even if you don’t have prior experience in full-scale development. We are not accepting applications from students who need support for obtaining the designated activity visa to work as an intern. Call for such applications for this year has already been closed. You need to let us know in advance if any administrative work is required to receive academic credit from your school. Please note that depending on the complexity of the work, PFN may not be able to accommodate your request. Click this application form to apply. To access the application form, you will need to log in with a Google account. We use your personal information filled in the application form for selection of summer interns. Summarize your skills and qualifications freely in an A4 paper to pitch yourself. Highlight and showcase some of your best work such as software you have developed, published papers, awards or prizes you have received, programming contests you have participated in, your blog, your sites, Twitter account, and other social media sites. Please upload it using the “Portfolio to pitch yourself” field in the application form. After we close the application on April 18, we will send the coding tests to all applicants (in principle) on April 19. 【Updated on Mar 29】For those who choose 21. Product Design, we will send you the guideline of a task instead of coding test. The deadline for completing these tests is May 7 (subject to change). The interview will take place within 3 weeks from May 27. For students living in distant areas, PFN will arrange an online (video) interview via Wepow. Work hours：8 hours in principle. 5 days a week excluding Saturdays, Sundays, and public holidays. Commuting fee support：PFN will pay for your daily commute to and from the office in an approved route. Travel cost：For students traveling a long distance by plane or Shinkansen to participate in the internship, PFN will support the cost for one round trip to relocate between the Tokyo area and the place where you’re currently living. Accommodation support：For students coming from distant areas, PFN will provide an accommodation allowance of 5,000 yen per day for the entire period of your internship including holidays. You need to arrange a place to stay by yourself. Reasonable weekly rental apartments are available near PFN office ranging from 100,000 to 150,000 yen a month. Please note that the accommodation allowance is taxable. 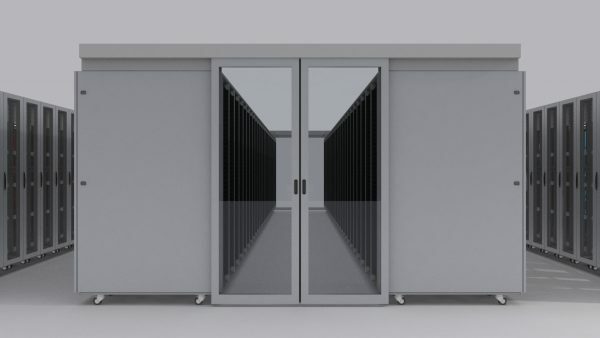 It will become operational in July to provide a combined computing power of 200*1 PetaFLOPS*2. March 18, 2019, Tokyo Japan – Preferred Networks, Inc. (PFN, Head Office: Tokyo, President & CEO: Toru Nishikawa) will independently build a new private supercomputer called MN-2 and start operating it in July 2019. MN-2 is a cutting-edge multi-node GPGPU*3 computing platform, using NVIDIA(R) V100 Tensor Core GPUs. This, combined with two other PFN private supercomputers ― MN-1 (in operation since September 2017) and MN-1b (in operation since July 2018), will provide PFN with total computing resources of about 200 PetaFLOPS. PFN also plans to start operating MN-3, a private supercomputer with PFN’s proprietary deep learning processor MN-Core(TM), in spring 2020. By continuing to invest in computing resources, PFN will further accelerate practical applications of research and development in deep learning technologies and establish a competitive edge in the global development race. MN-2 is PFN’s private supercomputer equipped with 5,760 latest CPU cores as well as 1,024 NVIDIA V100 Tensor Core GPUs and will be fully operational in July 2019. MN-2 is to be built on the premises of Yokohama Institute for Earth Sciences, Japan Agency for Marine-Earth Science and Technology. MN-2 will not only work with MN-3, which is scheduled to start operation in 2020 on the same site, but also connect with MN-1 and MN-1b, MN-2’s predecessors that are currently up and running, in a closed network. MN-2 can theoretically perform about 128 PetaFLOPS in mixed precision calculations, a method used in deep learning. This means that MN-2 alone has more than double the peak performance of MN-1b. Each node on MN-2 has four 100-gigabit Ethernets, in conjunction with the adoption of RoCEv2*4, to interconnect with other GPU nodes. The uniquely tuned interconnect realizes high-speed, multi-node processing. Concurrently, PFN will self-build software-defined storage*5 with a total capacity of over 10PB and optimize data access in machine learning to speed up the training process. PFN will fully utilize the open-source deep learning framework Chainer(TM) on MN-2 to further accelerate research and development in fields that require a large amount of computing resources such as personal robots, transportation systems, manufacturing, bio/healthcare, sports, and creative industries. Corporate Officer, VP of Systems, Preferred Networks, Inc.
*１: The figure for MN-1 is the total PetaFLOPS in half precision. For MN-1b and MN-2, the figures are PetaFLOPS in mixed precisions. Mixed precisions are the combined use of more than one precision formats of floating-point operations. *２: PetaFLOPS is a unit measuring computer performance. Peta is 1,000 trillion (10 to the power of 15) and FLOPS is used to count floating-point operations per second. Therefore, 1 PetaFLOPS means that a computer is capable of performing 1,000 trillion floating-point calculations per second. *４: RDMA over Converged Ethernet. RoCEv2 is one of the network protocols for direct memory access between remote nodes (RDMA) and a method to achieve low latency and high throughput on the Ethernet. *５: Software-defined storage is a storage system in which software is used to centrally control distributed data storages and increase their utilization ratios. ＊MN-Core(TM) and Chainer(TM) are the trademarks or registered trademarks of Preferred Networks, Inc. in Japan and elsewhere.